I am pretty freaking excited about this post. Like REALLY, REALLY excited about this post. 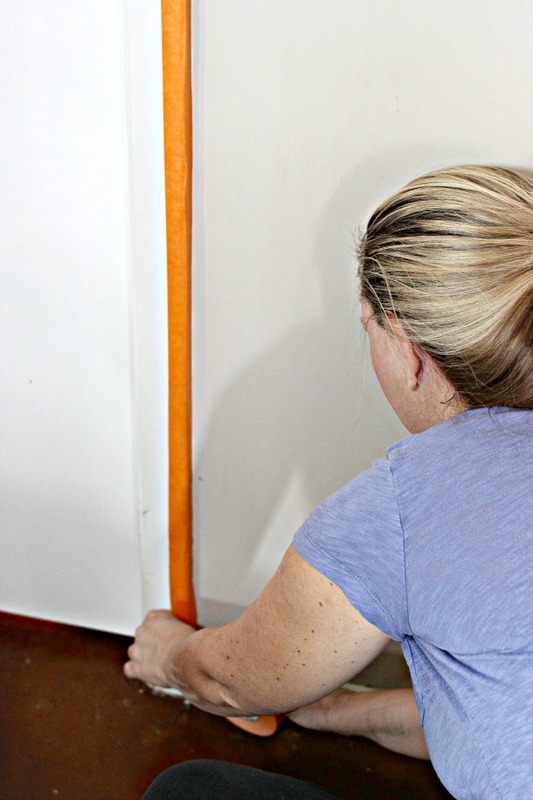 I am terrified of DIY projects. My sister is a total DIY girl. She's always working on a project and she's really, really good at it. She can knock down a wall, refinish a floor, build a bed, you name it. She's crafty and handy. Me, on the other hand. I am a reader, a movie lover, a little crafty, eternal researcher and love to cook. DIY-er? Not so much. I have helped paint a room and have helped do things around the house but it's not my forte. This is why I am SUPER excited about this post. 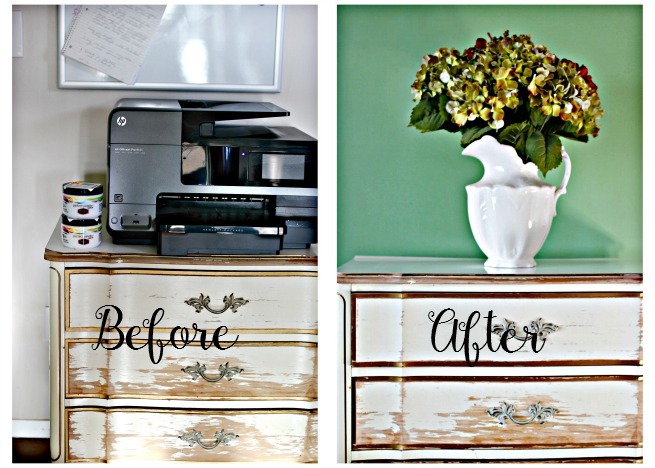 My sister and I transformed a room. With FUN color! We live in Phoenix and Dunn-Edwards is THE place to go for high quality paint and experts. Cool bit of trivia? 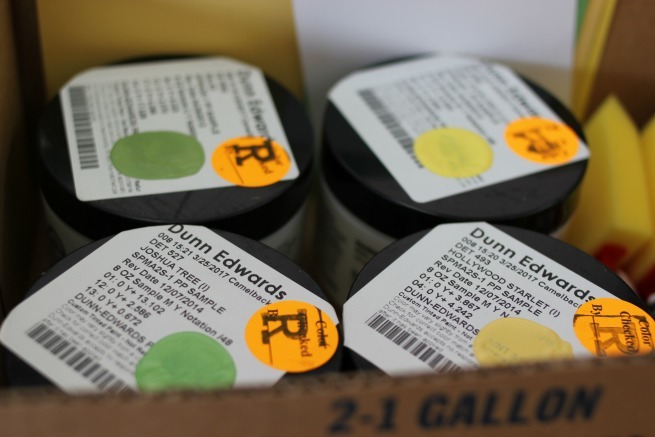 Dunn-Edwards paint bases are manufactured here in Phoenix. The paints are formulated to withstand ANY environment. In the harsh desert, the sun is brutal and Dunn-Edwards paints are known to last around here. Also- Dunn-Edwards is also on a mission to NOT harm the environment. Long before it became popular, they were already leading the way in green manufacturing. I highly recommend learning more about the Dunn-Edwards legacy and the environment by visiting their website here. 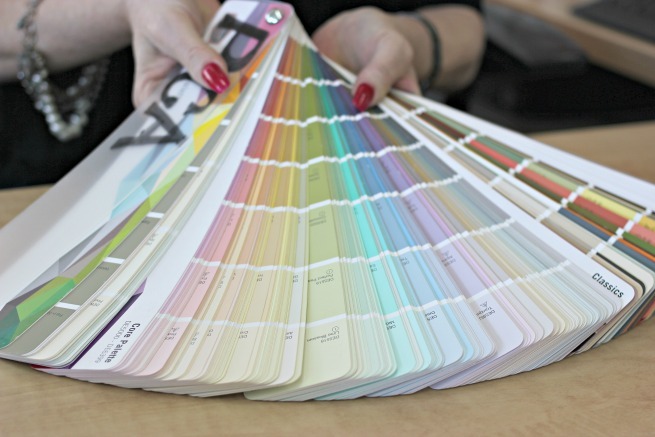 We met with our store's Professional Color Adviser to help pick the RIGHT colors for the room. See, this room is a special place for creativity and peace and it needs to reflect it. The inspiration for color is a unique and very cool chandelier. We brought in the photo (see below). And Kimberly (our PCA), my sister and I started color matching and brain storming. 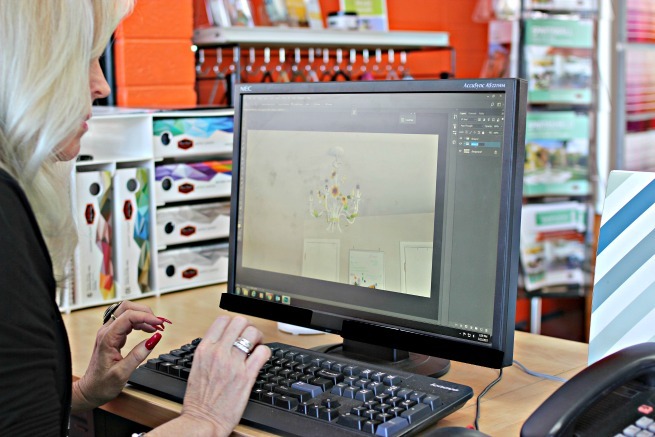 She absolutely LOVES her job and you can't blame her- she gets to play with color and help people find the perfect color. Every person the Dunn-Edwards store is soooo nice and helpful. The cool part is she was able to give us ideas on how to play with the colors and how they may look by using software. After choosing some colors, we were provided with 8 oz samples of the colors (FREE!) to swatch on the wall before making the final decision. 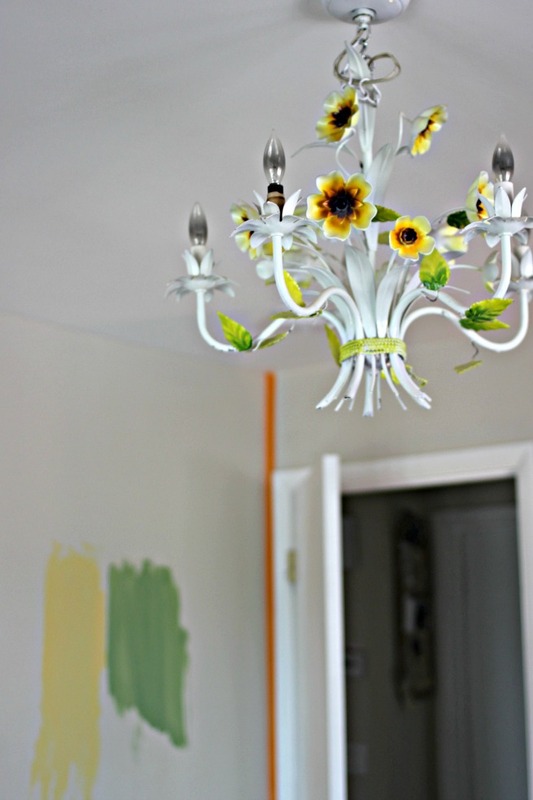 Choosing the right color is a big deal when painting the walls of a room- whether you're painting an accent wall, the door or the whole room. The samples are a lifesaver so you KNOW you're making the right color choice. Salad and Joshua Tree were the contenders for the green wall. 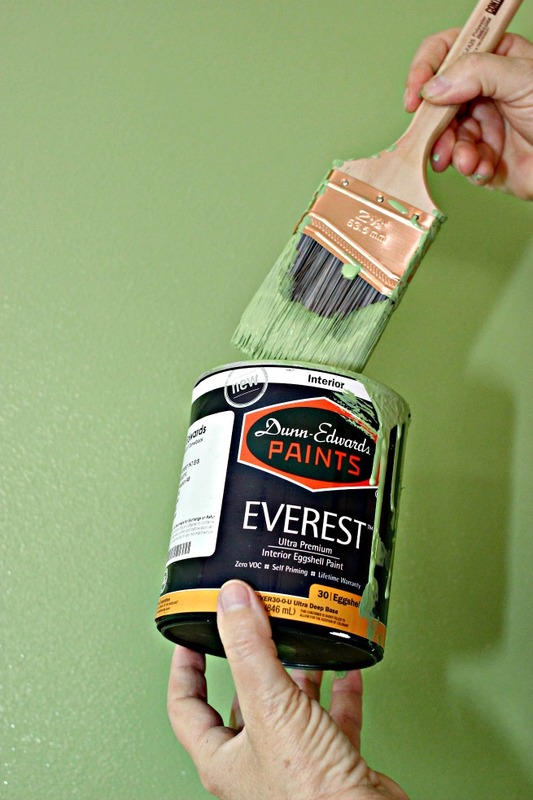 The paint used in the room is from the Dunn-Edwards Paints Everest Line. We used the eggshell finish. This paint glides like a dream. It's incredibly smooth and covers sooo beautifully. Also- self priming and ZERO VOC. No smell! It took NO time at all to paint. Prepping was the longest part of the project. Once the taping was done and the drop cloth down, it was GO time. Super easy. It took NO time at all to paint. It was LOT of fun! How gorgeous is the color? What a difference, right? It's such a calming, happy place. Head over to Dunn-Edwards and meet with a professional color adviser. 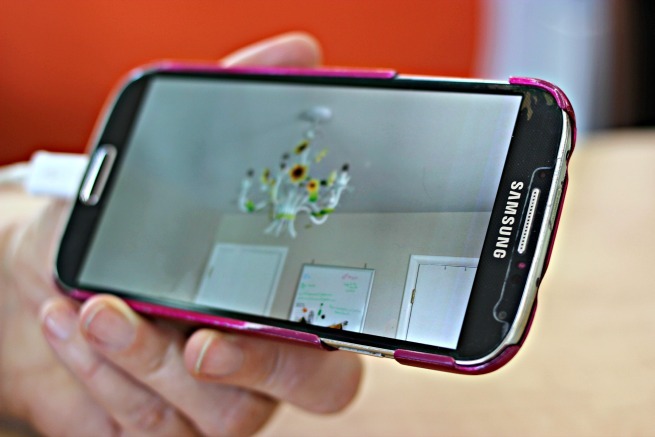 Come prepared- bring pictures of your space. 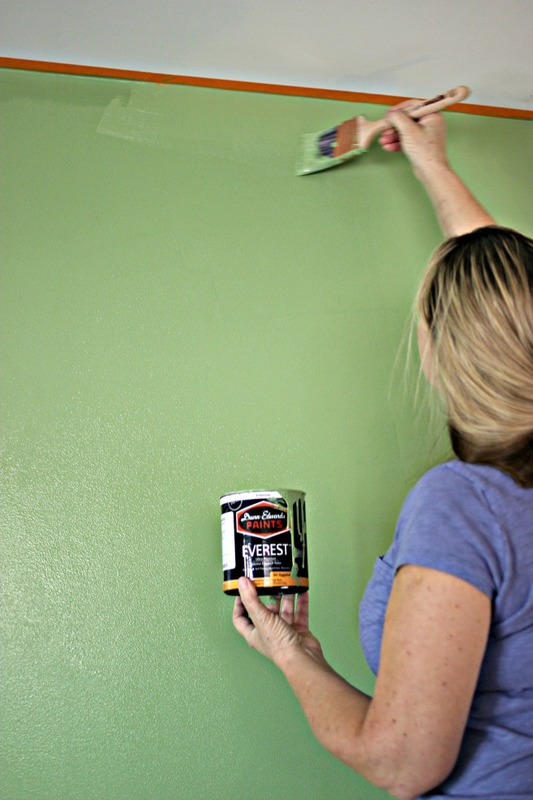 Pick up a free 8 ounce sample of paint. Use the online paint calculator. Go to town and add color to your life. What colors are your walls? Are you open to going bold?